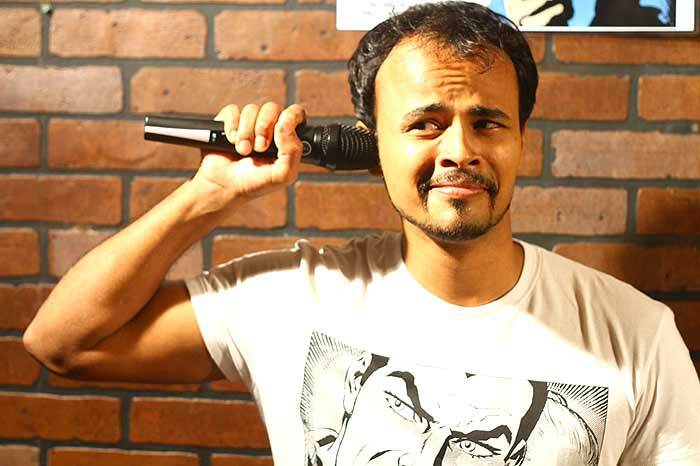 The 29-year-old stand-up comic’s show, Pant on Fire, has been staged in 10 cities. What do you think makes a good stand-up comedian? Having a terrible childhood helps. As a fat boy in a boy’s school, I was always trying to grab attention in some way or the other. What is the special quality about your shows? I do impersonations of communities and the audience identifies with several of them. I write like a maniac, at least two hours a day. Then I realise that most of it is not so funny except for a paragraph or two. In which city do you find the most responsive audience? Mumbai. Very cosmo and has several communities—one can get edgy, nuanced and subtle. What do you do when the audience does not laugh at your jokes? I generally take off my shirt. That helps. Do you revise your content regularly? Yes. I try to keep it topical but sometimes I realise that many in the audience have not watched the news when they just stare. Several of your jokes are about women. Yes. I have been rejected by women so many times that jokes are the only way that I can get back at them. (Smiles). And many are sexual in nature. Yes, but my wife has co-written several of these jokes. So she is the sexist, not me! Have you ever been confronted by a member of your audience? Yes. A woman once took me on on my driving joke. She dared me to a car race to prove that women are great drivers. Your book Wednesday Soul is due for release in September. Yes. It took five years and it is a dark, funny book in a Douglas Adams kind of way. It is about what happens after we die.